Edge Desserts: The 420 Cake - and How Clueless I Am! 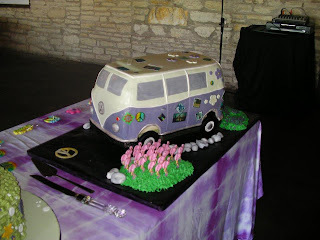 For the groom's cake, they wanted a VW bus... but no fondant. 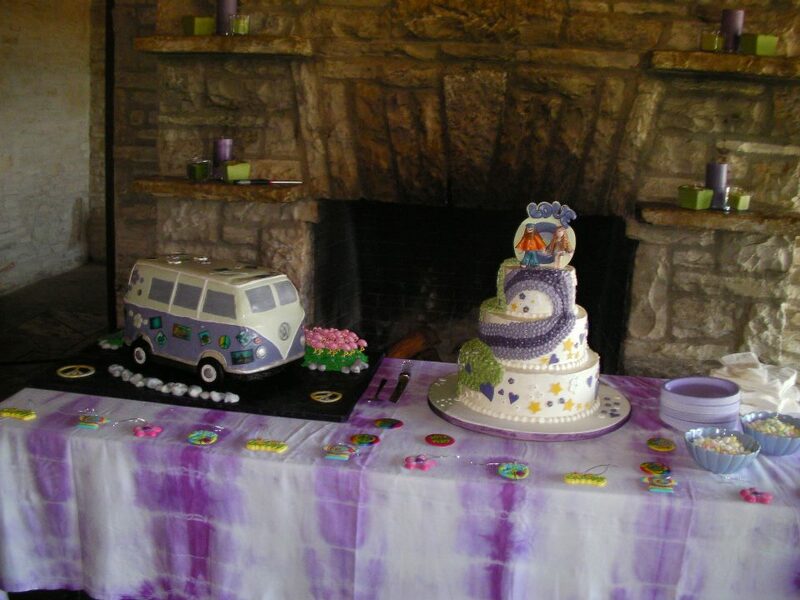 They really were adverse to the taste and texture of fondant. They also wanted the cake to be carrot cake with cream cheese frosting which created an even bigger decorating challenge. They wanted stickers on the VW that would be indicative of all things "Austin"... they also wanted the license plate on the bus to read "ATX-420"... they snickered a lot and we smiled. We really just thought it was some kind of private joke between the two of them and it was really cute and sweet. 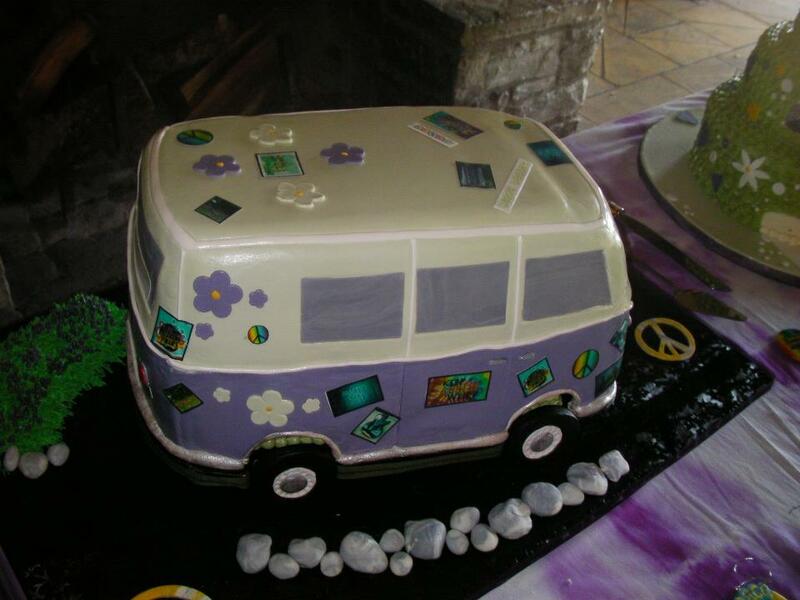 So... for the VW bus, we knew the best way to make it would be with fondant, but they didn't want that. Soooooo.... we decided to try something off-the-charts crazy. 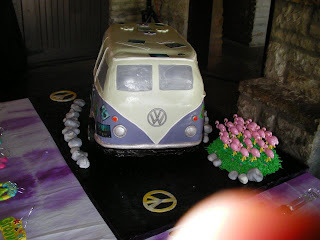 We created a gumpaste cake "cover" that could be removed from the cake. 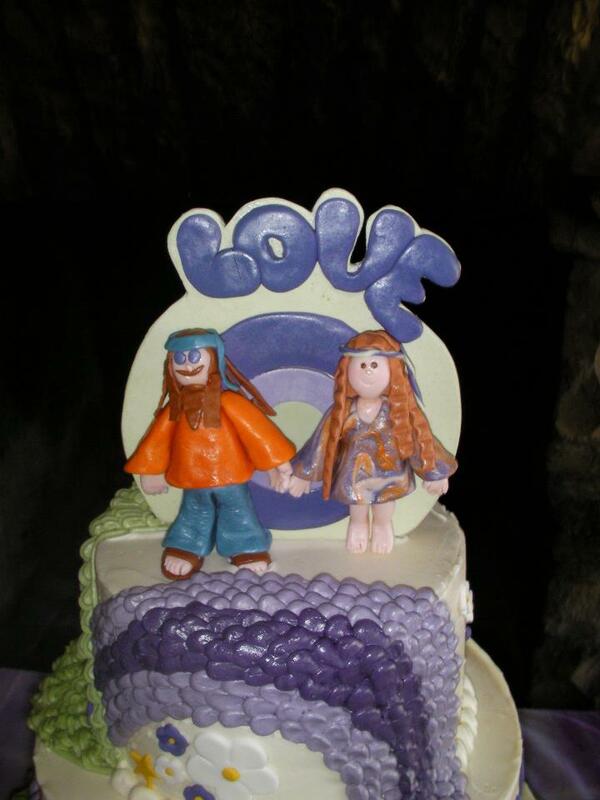 Revealing their non-fondant, cream cheese frosting carrot cake underneath. So... after a LOT of hours and a few failed attempts.... this is what we came up with. VW Bus Gumpaste Cake "Cover"
Front - sorry about the finger in photo but it's the only one I have from the front! Now... if I had known then, what I know now, I would definitely have taken a better picture of the top of the cake. Or most likely we would not have done this! 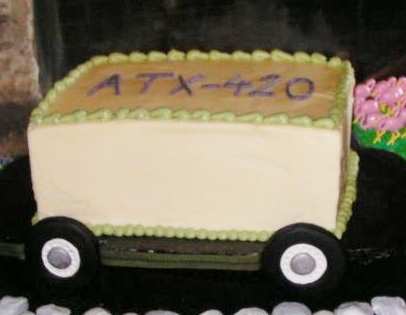 It wasn't until after their wedding we learned what "420" meant... If you don't know, I'm not telling you. You'll have to google that for yourself. 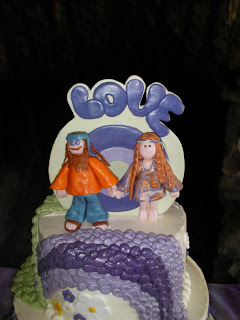 On the upside, the couple was THRILLED with the surprise underneath.... Everyone thought it was hilarious and we could not have been more relieved. So cute! Are those pink flamingos? Nice touch!